Israel’s first transgender beauty pageant, won by a Christian Arab at the end of May, brought together contestants from the Holy Land’s main faiths in an unconventional show of tolerance and coexistence. In what organisers described as an ethnic “mosaic”, the 12 vying for the Miss Trans Israel 2016 crown included a Jewish confectioner from an Orthodox Jerusalem family, a Muslim belly-dancer from Tel Aviv and a Christian ballerina from Nazareth. The Christian, Taleen Abu Hanna, won and will represent Israel at the Miss Trans Star International pageant in Barcelona in September – a role she will evidently relish. Unlike elsewhere in the Middle East, Israel has mostly liberal laws on sexual identity, with openly gay and transgender troops in its conscript military. But people who are homosexual or transgender often face hostility from religious conservatives in the Jewish majority and Muslim and Christian Arab minorities. An ultra-Orthodox Jew is on trial for murder, accused of killing a teenage girl in a stabbing spree at last year’s Jerusalem gay pride parade. “Israeli people like transgenders but they don’t have enough information about transgenders,” said pageant judge Efrat Tilma at the prestigious venue, Tel Aviv’s Habima National Theatre. Carolin Khoury, a Muslim contestant, said she hoped Friday’s contest would “send a message to the Arab communities in Israel or abroad, to accept the other”. She described overcoming sometimes violent opposition to her gender choice from her family. 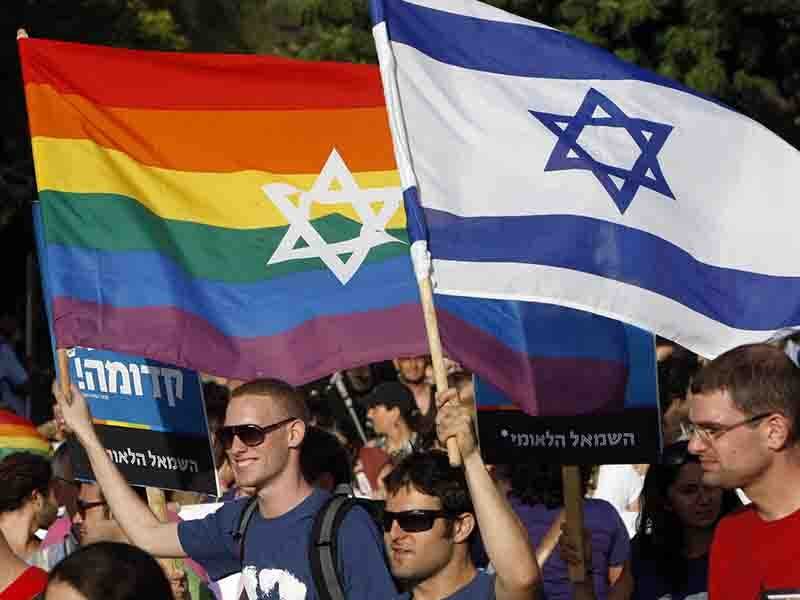 Tel Aviv’s Gay Pride took place at the beginning of this month.